I hate the Red Sox. Not as much as I hate the Yankees, but it's a pretty strong hate. Needless to say, I was rooting for a Red Sox loss and a Tampa Bay win last night, but with the Rays down 7-0 to the Yankees and the Red Sox up 3-2 in Baltimore, I figured I wasn't going to get my way. That's when everything I love about sports came together. Boston closer Jonathan Papelbon struck out the first two batters in the ninth, putting them an out away from beating the Orioles. Then, right on cue, Chris Davis doubled. Then Nolan Reimold doubled. And finally, Robert Andino singled to hand the Red Sox their 19th loss in their last 26 games. Meanwhile, in Tampa Bay, the Rays were pulling off quite the comeback. They beat the Yankees 8-7 on an Evan Longoria 12th inning walk-off homer to win the wild card spot. 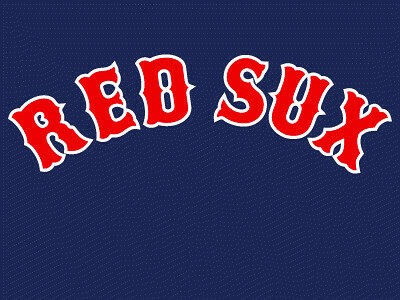 The Red Sox, against all odds, were done. Hey Boston, how do ya like them apples? Pretty awesome night. I was afraid they were going to call the BoSox game due to the weather but thankfully, they let them play. There will be no further mention of 1987. Couldn't happen to a better bunch. I want Tampa to win it all now. They deserve a shot. Their fans, on the other hand, do not. Huge game last night and the joint wasn't even half full. Their jerseys don't deserve a shot either. They are some ugly. I think someone should design new TB jerseys today and manufacture them in time for game 1 tomorrow. And, of course this would have all been much sweeter if it was the Yankees who were eliminated, but it was some damn entertaining baseball. Every pitch, hit and error was magnified and meant something. It had drama and huge swings in momentum and emotion. And I think it all changed with the rain delay, and the NESN commentator called it right, saying it would hurt Boston more than TB. Boston's won enough. This looks very very good on 'em. Best last day of the regular season that I can remember. And this was shaping up to be the year of the non playoff race. You gotta love sports! Re: "I hate the Red Sox. Not as much as I hate the Yankees, but it's a pretty strong hate"
You're unattractive on the inside"